This article is about restrictions and practices for teachers wanting to teach English in countries belonging to the European Union‏‎ (EU). The most common question on this is one of visas and whether non-EU citizens (Americans, Canadians, Australians, etc) can work in the EU. This is addressed below. In general, the minimum requirements to teach in an EU country in terms of academic qualifications are a degree and a TEFL Certificate. Some countries may have additional requirements so be sure to check out individual country details for more. If you do not have these qualifications then regardless of your nationality it will be hard to find work in Europe. If you hold a passport‎ from an EU country (e.g. the United Kingdom or Ireland‏‎) then you are free to travel and work in any EU country. You will still need the right qualifications and permissions but it is relatively straightforward to find work and set up in an EU country and work there. There are a considerable number of Americans (and others) who work in Europe by dint of the fact they have claimed an Irish or Italian passport through their grandparents for example. This is something worth looking into: getting a second passport and dual nationality in order to work in Europe. There is no denying that finding legal employment teaching English is difficult for a non-European. 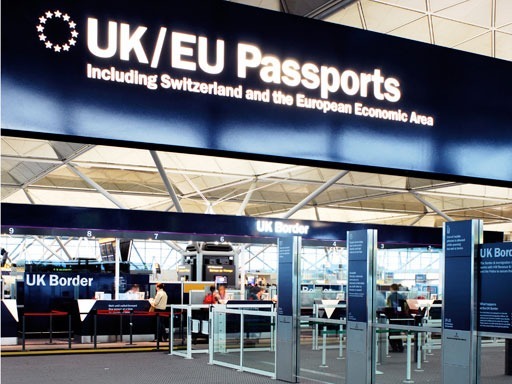 If you do NOT have a passport from an EU country things are a lot more complicated. Essentially preference for teachers MUST be shown to EU passport holders first (this is due to the lack of reciprocal labor agreements between EU and non-EU countries) and thus in order to get a visa to work in an EU school, the school must prove they have advertised the job within the EU and have been unable to find a suitable candidate. Furthermore, the school must then go through a lot of paperwork to get their non-EU teacher a visa. Since the authorities may well refuse to grant a work permit even if a job contract has been given, and the necessary visa applied for, schools are often reluctant to employ non-EU teachers as it is just too much hassle. It’s obvious then that schools will much prefer to hire teachers from within the EU than, say, the USA‏‎ or Australia or Canada‏‎ or any other country outside the EU. This means that unless you are very well qualified or highly determined, it is difficult to find work teaching in the EU. There are, however, a couple of routes you can take to find work, even if you are from outside the EU. Even if you don’t have an EU passport, there are a couple of methods to find work. These have been tried and tested and they work. If you have good qualifications and plenty of experience then a school may well be willing to go to the trouble of helping get you a visa simply because you would be a good move for them. This doesn’t apply to most teachers, however, who have to follow a different route. There are quite a number of American, Canadian, etc, teachers working in Europe who are in various stages of legality and who have managed to come in through the back door, as it were. If you do not have an EU member state passport, this is what you can try. First off, it is very unlikely you will be able to find work from outside Europe (via an internet advertisement for example). This is because schools initially will only look for the easy option and advertise in the UK or Ireland and very possibly ignore any application from non-Europeans. This means you need to be in the country to find work. And this means coming over on a tourist visa and then looking for work. Ideally you should come just before the beginning of the academic year‏‎. This is when there is highest demand and some schools will find that the teacher they hoped to have simply did not turn up or they need a new teacher to replace one that has gone awol. Where you go is important. You need to approach schools where there are no native speakers to take up the position: this is likely to be more out-of-the-way towns in less desirable areas. You are more likely to find work in a small backwater in far-flung Spain than in a prestigious quarter of Berlin, for example. When you’re there, you need to make yourself as presentable as possible and then visit each school in the town. Sooner or later, and with luck, you may be able to pick up a few hours teaching here and there but working illegally. See the article, Finding Work‏‎ for more on how to do this; link below. From then on it is up to you. If you can make yourself as useful and as indispensable as possible the school may well, after some time, be willing to sponsor you and help you get a visa. And apart from numerous private English schools there is also a good market for private lessons so don’t rule out putting up fliers in supermarkets, gyms, universities, etc. while you are in town and getting some work, cash-in-hand to keep things ticking along. Bear in mind, however, that even though this is done it is illegal to a certain extent and you should not overstay your visa. This can result in difficulties when you do decide to leave. It would not be the first time this has happened for the sake of a visa! In general, US citizens traveling to the EU for tourism or business do not need a visa for stays up to 3 months. However a US passport valid for a minimum of 6 months is required. US citizens entering the EU for work, study, adoption, immigration, or stays longer than stipulated in the entry requirements should contact directly the embassy or nearest consulate. Things take a bit longer to get accomplished so start your visa procedures early. There are many agencies that will help you (for a fee) with the process of visa application, and many are available on the Internet. On the Net there is also a wealth of fee information on how to go about it all. However, it must be reiterated that by law non-EU citizens who intend to work in the EU must obtain a visa from the nearest appropriate Embassy or Consulate in the US or in the country of last residence, before coming to the EU. The article is interesting but it has not touched upon a major legal point of “Teaching in Europe for NON – EU citizens.” What if we do Bachelor in Education & also Masters in Education (both) from the EU or specifically from the country where one wants to pursue the career? Then what are chances of finding Jobs? This will surely help, but the bottom line is that it will depend to a great extent on your passport. Studying in a country will give you good contacts, but you will need to have the visa still. It sounds tough and not for the faint-hearted. Surely there is a better option than marriage?